(#151) The Edge of Strength is finally here. This episode (#151) is totally different from any show I’ve ever done. In this special episode, I’ll explain all about my NEW book and why I had to write it. I’ll share the entire story, including the struggles to complete the book and all the challenges I faced. 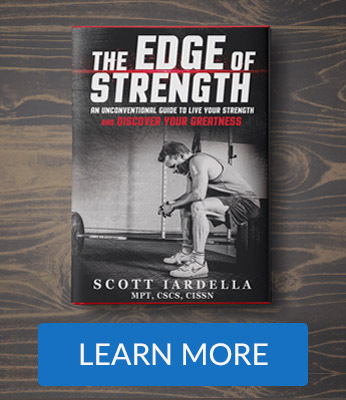 The Edge of Strength is truly an Unconventional Guide to Live Your Strength and Discover Your Greatness by focusing on what matters – a foundation of strength. It’s the BIG PICTURE in STRENGTH and PERFORMANCE for today’s fitness enthusiast. I explain the WHY, the WHAT, and the HOW in the book. The 5 levels of strength – How strong is strong enough? The Edge of Strength is NOW AVAILABLE in Amazon! Do me the favor of helping to share the important message and philosophy of The Edge of Strength with others. Please share this on Facebook, Twitter, or anywhere you’d like to help spread the word. 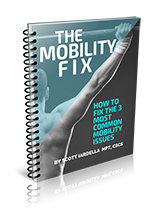 Scott Iardella, MPT, CSCS writes about strength training methods to optimize health and performance. If you enjoyed this, join a strong and growing community of passionate fitness enthusiasts and subscribe below to get a ton of cool, free stuff! Subscribe at RdellaTraining.com/join and get your FREE Report.